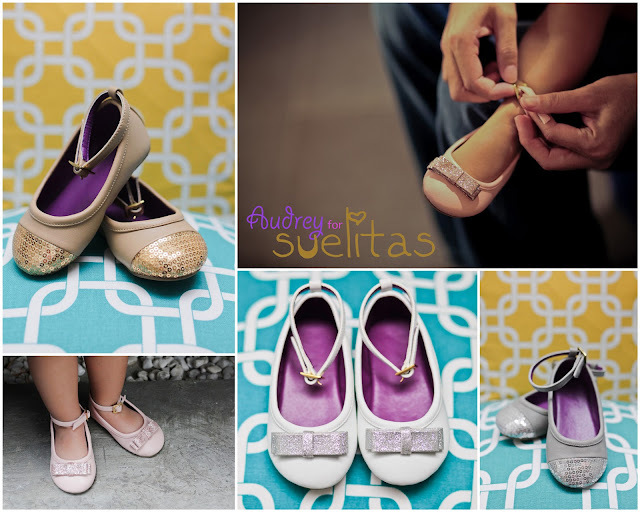 Audrey now has her own shoe line for little girls like her! 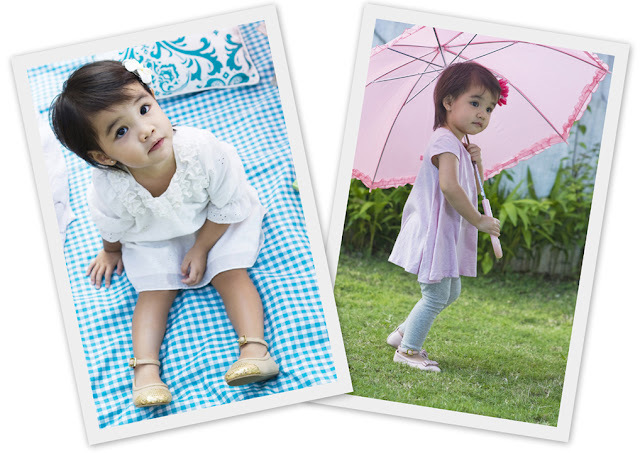 to come up with fun, fashionable and comfortable shoes for little feet. They are available in four colors - two with glittery bows and two with sequined toes. You can get them online at www.suelasonline.com or at the Suelas Kiosk in Alabang Town Center. Unit 204, Doña Consolacion Bldg, 122 Jupiter Street, Makati City. These are sooo pretty and your lil girl is so camera ready!!! =) Soo adorable!